Are you interested in breathing new life into your home or office with artwork. ..we can help! Our motto is “You Can Trust Us With Your Treasures” At Nancy’s we pride ourselves in (on?) 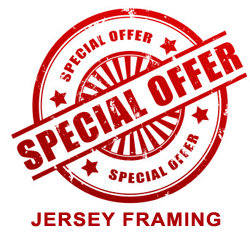 our ability to cater to your framing needs, along with your budget. We offer a near limitless variety of frame moldings and mat materials to present your artwork properly in its environment. We frame anything from Fine Art to Needlework, Prints to Photos. We also frame all types of Memorabilia in shadow boxes. We take our work and our motto “You can Trust Us With Your Treasures” seriously and do our best to make sure our customers not only come back again and again, but tell their friends and relatives how our friendly, experienced service and quality of workmanship, make Nancy’s the place to go for framing & artwork.